Eagle Eye Carpet Care uses state of the art equipment to get the job done the correct way. We use powerful truck mounted steam cleaning machines. The machines are capable of shooting out 230 degree water, which will kill all the bacteria that is hiding in your carpets. The vacuums our machines are equipped with are so powerful that you won't have to worry about your carpets being wet for a long period of time. Eagle Eye Carpet Care is a professional, insured, carpet cleaning business. Most companies tell you a price over the phone that might seem nice, but as soon as they step in the door they try to upsell you. That is not the case with Eagle Eye Carpet Care. We have top of the line technicians that will make sure you're taken care of, and there will be no hidden charges. 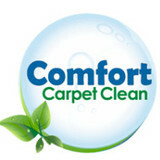 Hello, my name is David Johnson, and I am pleased to welcome you to Comfort Carpet Clean in Fort Collins, Colorado. As the owner and operator of a quality residential and commercial Carpet Cleaning and Flood Restoration Service in Fort Collins, I believe in one-on-one service with 100% satisfaction on ALL of our work, with special focus on the importance of customer satisfaction. Our mantra is, “build lifetime customers one at a time.” To do that, we do everything we can to ensure that our Fort Collins, CO, area carpet cleaning customers are happy with the results we provide. In today’s world of poor customer service, I know how valuable a great customer service experience is, and Comfort Carpet Clean strives to provide it at every opportunity. Comfort Carpet Clean provides a wide selection of cleaning and damage prevention services, as well as free on-site or telephone estimates for all of Northern Colorado’s carpet and tile cleaning needs. Our team is experienced in all types of fibers and soiling conditions, no matter how unusual they may be. In fact, our technicians are known for resolving stains and messes that no other Fort Collins carpet cleaner can. Our company’s reputation is on the line every time we perform a job and thus we strive to ensure the customer’s expectations are met or exceeded. Treating our customers, their homes, and places of business with respect and superior craftsmanship is just as important to us as our carpet cleaning. Call our Fort Collins, CO, carpet cleaning office today to speak to any of our courteous and professional representatives at (970) 682-8119. Formely worker for a big franchise that advertize on Tv. We offer a better quality service and better prices that a franchise. With over 16 years of experience in the Residential and Commercial cleaning industry, we have maintained our well-respected reputation among some of the area's most prestigious flooring industry, property management companies, interior designers, real estate agents, store owners, homeowners and other maid service companies. We have outstanding working relationship with each of our clients and every year, we service hundreds of new referred customers. More importantly, we service thousands of Repeat Clients. 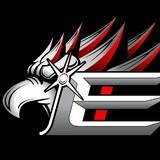 All of our services are personally provided by the owners, NOT Some Kid on Commission! No Sub-Contractors! Aria Oriental Rug is a professional rugs cleaning & repairing company. If you're looking for a quality and affordable Carpet Cleaner in Littleton, Colorado, look no further! Here at CT Solutions, we offer carpet cleaning services that will bring your dirty carpets back to life! Want to brighten your carpet before guests arrive? Give us a call! We may even fit you into our schedule today! A few of our more popular services include: Residential Carpet Cleaning Steam Cleaning Commercial Carpet Cleaning Area Rug Cleaning Carpet Repair Tile and Grout Cleaning Natural Stone Cleaning Concrete Cleaning Spot Removal Pet Damage Flood Restoration Upholstery Cleaning Water Damage Mitigation Carpet Cleaning Services in Littleton, Colorado. If you're looking for something that will totally change the look of your carpet, you have come to the right place. Brighten your home and improve the overall feel of cleanliness by removing those ugly spots and stains. Bring out your furniture and by revitalizing your tired carpets. Having clean carpets compliments your home. Cleaning Process When we clean your carpet we use a powerful deep cleaning process that provides you the most thorough cleaning service possible. Our steam cleaner removes all of the dirt and allergens that cause your carpet to become musty and dirty and provide you a healthier home for your family. Our cleaning process is as follows: 1) Pre-Vacuuming 2) Pre-Conditioner 3) Agitation 4) Spot & Stain Treatment 5) Steam Cleaning With a Rinse 6) Deodorizer Carpet Cleaning Company Littleton, Co. Welcome to GoGreen Dry Carpet Cleaning – proudly serving Castle Rock and the Southern Denver Metro Area. Our #1 mission is to provide an eco-friendly, safe carpet cleaning that will leave your home looking and feeling fresh, clean and healthy. We offer truck-mounted steam and low-moisture non-residue carpet cleaning, upholstery and area rug cleaning, tile and grout cleaning, hardwood floor cleaning, pet stain and odor removal, as well as air duct and dryer vent cleaning services to residential and commercial customers in the Northern Colorado area. MSS Cleaning is a premier Denver CO carpet cleaning company. 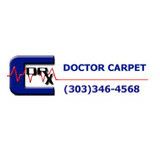 We offer both residential and commercial carpet cleaning services across the front range. We are an IICRC Certified company. Our services include carpet cleaning, upholstery cleaning, tile and grout cleaning and carpet stretching and repair. We specialize in the cleaning and restoration of Oriental and Southwestern rugs and textiles. 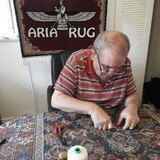 We also offer a wide range of services that includes appraisal and consultation, as well as the purchase and sale of antique rugs and textiles. Welcome to Albert’s Carpet Cleaning Inc. for many years I was a customer in the carpet cleaning business. I received dissatisfying service on numerous occasions. After trying many different companies, I finally decided that I would be that one business owner that would get the job done right! I went to school and learned the skills I needed to become successful in the carpet cleaning business. Now here I am and have accumulated a long list of satisfied customers in the Denver Metro area. While there are do-it-yourself cleaning methods on the market, and different companies to chose from. Albert’s Carpet Cleaning Inc is the right professional to take on the task. 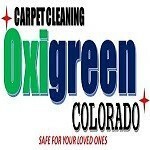 Our goal is to always give quick, efficient, high caliber carpet care and cleaning all around the Denver Metro area. We are ready to provide help 24/7, year round. We have knowledge of the value of observing all of the carpet necessities for all of our patrons in a quick and tried-and-true manner. You can be assured that we will bring to light an everlasting and high-value solution to Denver’s all-inclusive business carpet stain removal requirements. If your residence hungers for top-notch carpet and rug cleaning in Denver, call us for the best quality job! Stapleton Carpet Cleaning has been servicing Stapleton and surrounding areas for over 10 years. We now service ALL of Denver Metro! THE OWNER DOES ALL OF THE WORK!! We can handle all of your carpet cleaning needs. Guaranteed to be completed to your satisfaction at a fair price. Service Areas: Denver, Aurora, Lakewood, Arvada, Centennial, Commerce CIty, Parker, Castlerock, Erie, Littleton, Englewood, Littleton, Westminster, Northglenn. ***If not listed call to see if I can service your area. *** With nearly a decade of expertise handling the hardest spots, stains and keeping your home the cleanest. With the fastest drying times in town call today for a free phone estimate. I surpass the competition, in not only price, but quality. There are no hidden costs. I am not a bait and switch company. I am the Owner and the Operator. All work is guaranteed. What should I look for in a local Commerce City carpet cleaner? Not all Commerce City carpet cleaning companies use the same methods, but there are a few common things that they should do to for a quality job. Make sure they do an analysis on the area you need cleaned and recommend the best course of action — are there large stains or high-traffic areas that need extra treatment or attention? Also, make sure they provide quick drying times so that you can be back in your home faster; that means hours, not days! A good carpet cleaning service in Commerce City, CO should move furniture (within reason) and put it back in place when they are all done; don't let them charge extra to do this. Another important factor to look out for is whether or not the carpet cleaners use chemicals, and if so, they should be asthma- and allergy-friendly. This is especially important for households that have children or pets. Lots of Commerce City carpet cleaning services also clean rugs. Rug cleaning can involve anything from a simple wash to complete re-weaving or foundation work. Make sure the local rug cleaner you choose has experience with the types of rugs you need serviced, especially if they are hand-woven or Oriental rugs. What should I look for in a local Commerce City upholstery cleaner? Upholstery comes in many more varieties than carpet and rugs, thus needs cleaning tailored to each specific blend. Even if you don’t know what material your sofa or chair is made with, a good upholstery cleaning service in Commerce City, CO will be able to identify it and treat it appropriately. Some textiles require dry cleaning and that can’t be done in home, so if that’s the case, check with the upholstery cleaner and see if they offer pickup and drop off services. Leather cleaning is a bit different and often involves more restoration and conditioning than actual cleaning. Make sure the Commerce City furniture cleaning service specializes in leather if you are considering them for the job. Find Commerce City upholstery and carpet cleaning services on Houzz. Narrow your search in the Professionals section of the website to local carpet cleaners in Commerce City, CO and read reviews and ratings to find one that fits your needs.